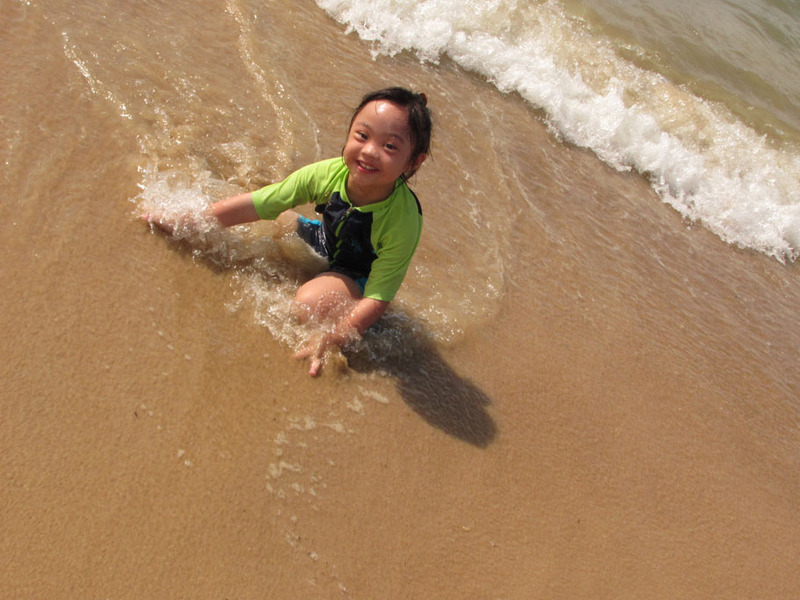 Playing In The Sand – I Can Do It! 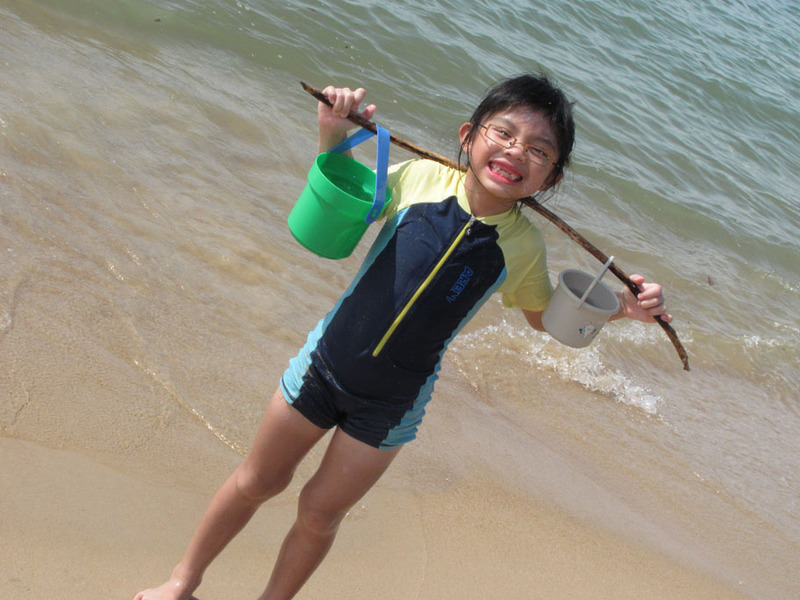 On Monday evening, my family went to East Coast Park to camp because it was Mama and Papa’s Anniversary. First, we tried to set up the tent but daddy forgot how to pitch the tent. He tried to figure out. When mama searched through the bag, she found the instruction manual. Finally, the tent was up. Thank God! Praise God! When we finished unpacking, it was 8pm. It was very late! After our dinner, it was 9pm. Then we played Uno Stacko and Flying Chess before bedtime. We went to bed at 10pm. We slept only a few hours. The next morning, I found my brother sleeping on the hammock. It was a terribly cold morning. I was almost frozen! 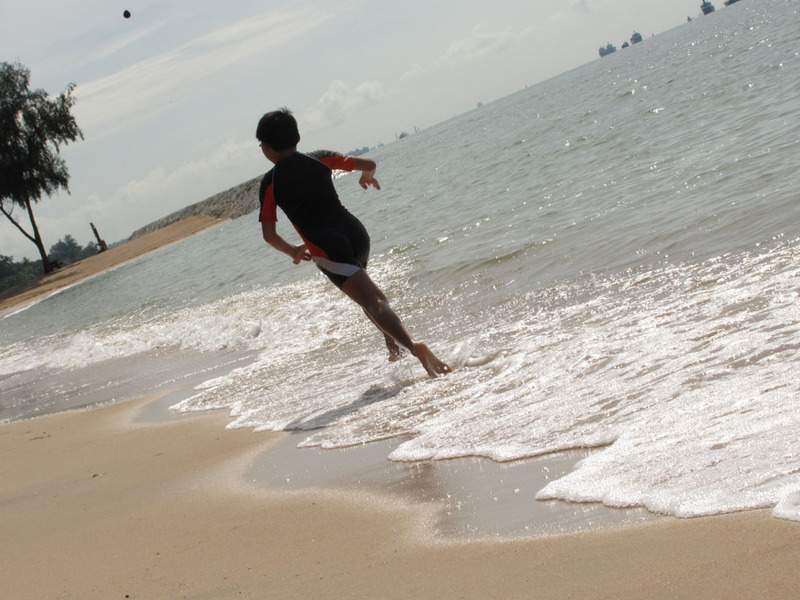 That morning, we played in the sand. 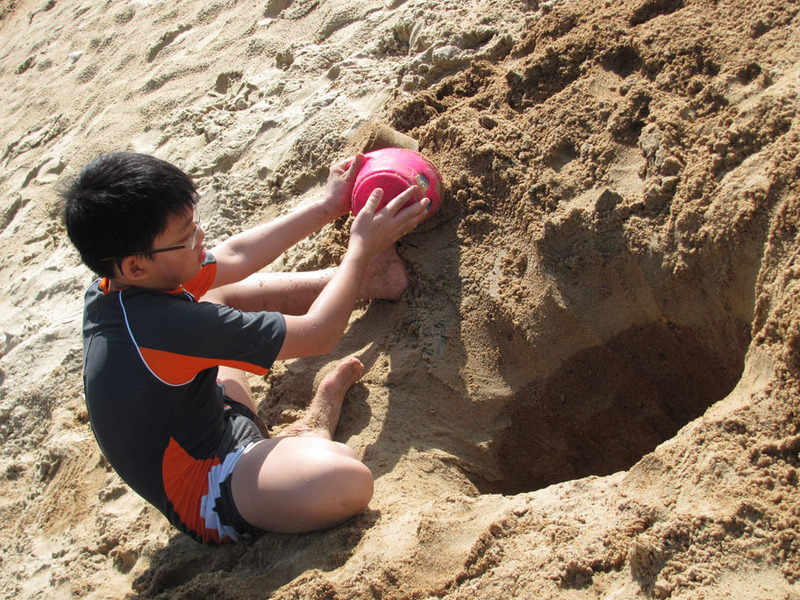 We dug a big hole in the sand.The sun was very hot. But I did not mind. My brother and I played with a fruit my brother found on the beach. 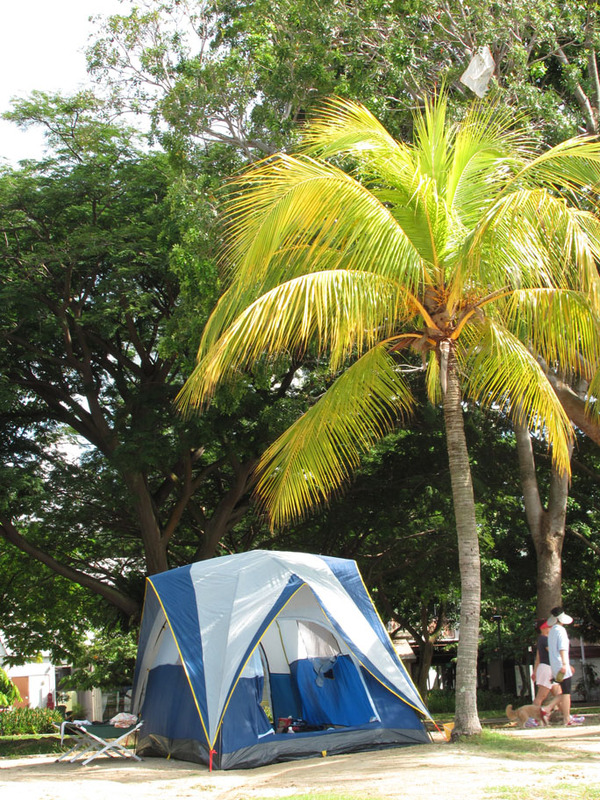 I love camping because it was very fun. I hope to go camping again.